RYOT's 3" Wood Taster Bat with Glass Bowl is currently made available in two different sizes: 9mm/12mm (Width). Each size measures in at 3 inches in length to ensure a good fit with most taster boxes and duguouts currently on the market. The 9mm size option is your standard taster bat size, perfectly fitting into any of RYOT's Magnetic Taster Box Dugouts. Although the 12mm size option is not compatible with RYOT's Taster Box series it does come equipped with a much larger bowl that allows for use with bigger quantities of material at a time and overall it makes a great pipe for quick and discreet use on the go. 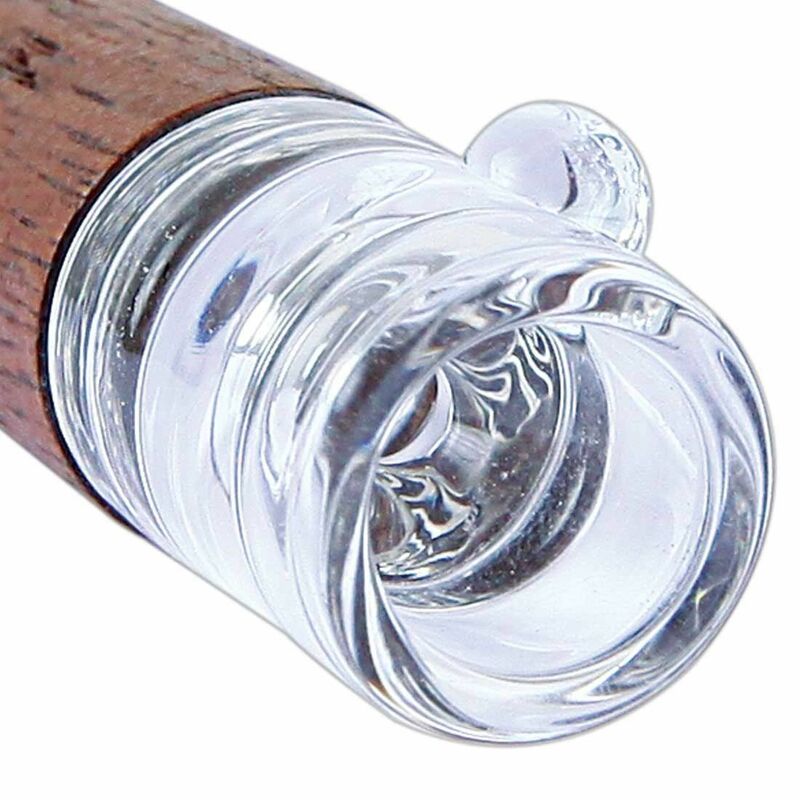 The Pyrex glass bowl will help to produce a clean tasting and cool quality of smoke that will be much easier on the lungs when compared to the standard all metal bats that tend to provide a harsh hit. 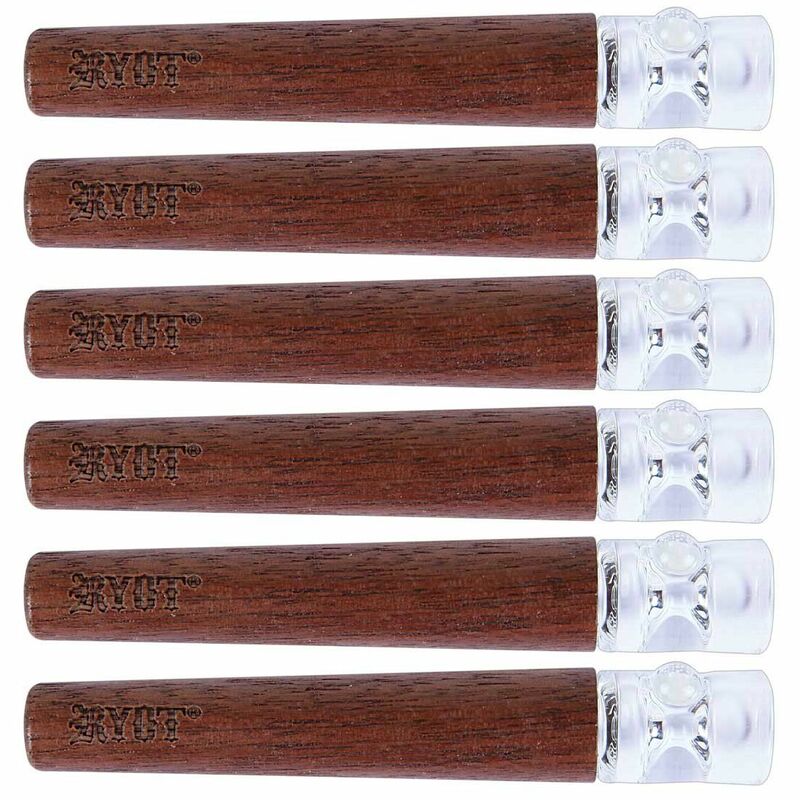 Not only with this unique taster bat help to maintain a smooth inhale, the walnut wood design will also help to keep it cool to touch during long and extended smoke sessions. 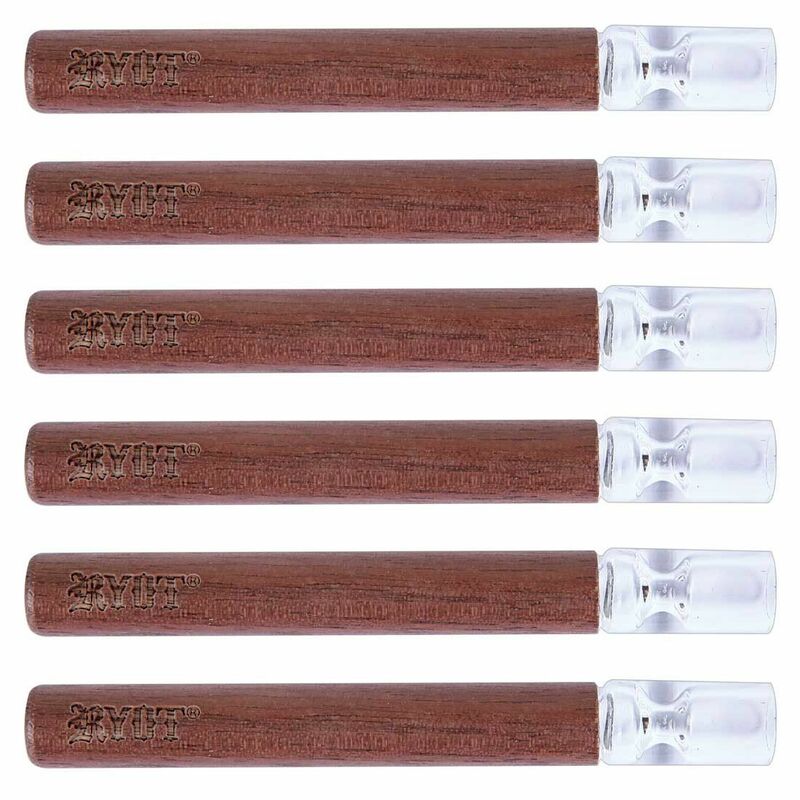 After a few hits metal taster bats will be extremely hot, forcing you to take a break and allow it to cool down before starting your next session, with RYOT's new Walnut Taster with Glass Bowl you will never have to wait again. The glass bowl is also 100% removable, this makes cleaning it a quick and simple process. 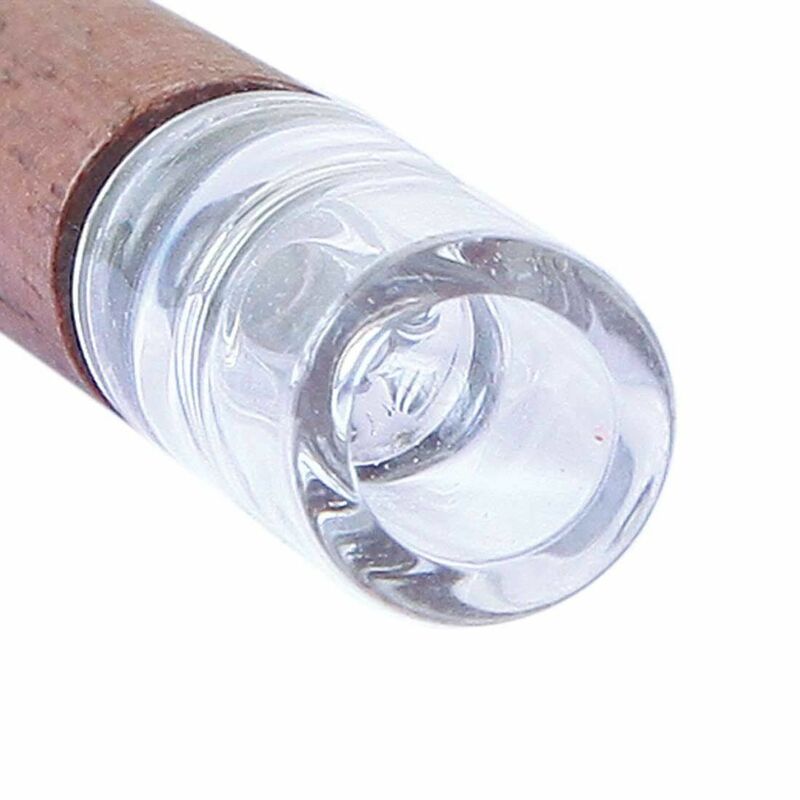 Using just two fingers you can quickly twist and pull the glass bowl from it's wooden stem and soak in alcohol for a thorough cleaning in just a matter of seconds. This will also provide open access to the inside of the wooden stem, allowing you to easily remove and residue build up inside. Whether you are looking to replace a lost or broken RYOT brand taster bat or you are simply looking to make an upgrade, consider investing in RYOT's new Walnut Taster with Glass Bowl you will not be disappointed.